Promises at the WAVES camp fire. Lauren and Grace from Bridgnorth Guides were able to make WAVES camp even more memorable, as they made their Guide promises whilst they were away. WAVES camp took place in the summer holidays at Blackwell Adventure and saw over 350 guides from Shropshire come together to form Pacific, Arctic and Indian sub-camps and face a week of fun and adventure. 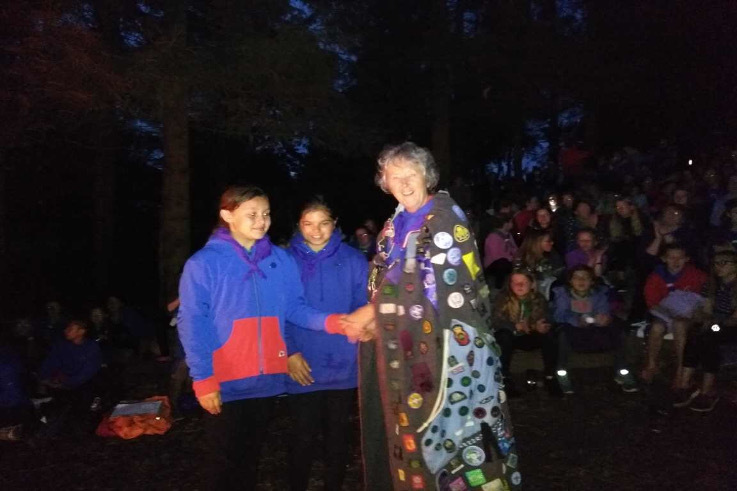 On Tuesday evening the whole camp got together at the campfire circle for an evening of singing traditional (and some not so traditional) campfire songs, which is where the girls chose to make their promise.